Michael Schunke and Josie Gluck collaborate to create original hand blown glass objects that challenge and nurture relationships between art, craft and design. Through technical and material expertise, creative design thinking and expressive patterning, the artists engage in a process of object-making that results in one-of-a-kind sculptural objects inspired by pattern, practice, and form. ​where chaos reveals beauty . Michael Schunke and Josie Gluck, Grey & White "Spools," handblown glass. 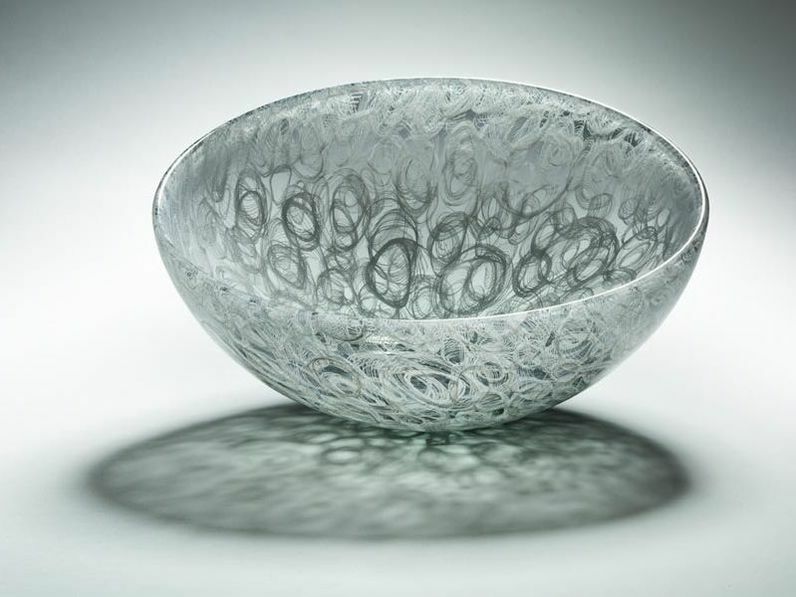 Sculptural forms in oval and round handblown compositions. The Flat rondels have spiral design details, 24k gold leaf accents & hand-fabricated stands. Michael Schunke and Josie Gluck, Color Wheel Sculptures, handblown glass. From classical amphoras to modern bottle shapes and contemporary needle-nose forms, the one-of-a-kind vessels by Michael Schunke and Josie Gluck are masterfully crafted glassworks.